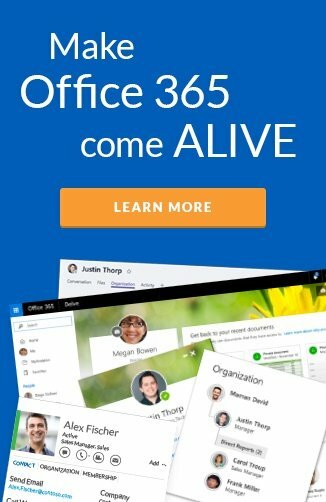 Today at Microsoft's Ignite conference we launched our new Hyperfish Live Directory, a modern employee directory search and discovery web part for Office 365. This represents the latest feature in a series of new functionality we are delivering focused on employee self-service experiences. Hyperfish Live Directory provides organizations with a reliable, customizable and easy to use people search experience within their intranet. It works in conjunction with the Hyperfish service and our Hyperbot that proactively engages employees to ensure profile information is always accurate and complete. “Effective employee search is critical to drive employee engagement, collaboration and productivity in the modern workplace.” says Hyperfish CTO Chris Johnson. 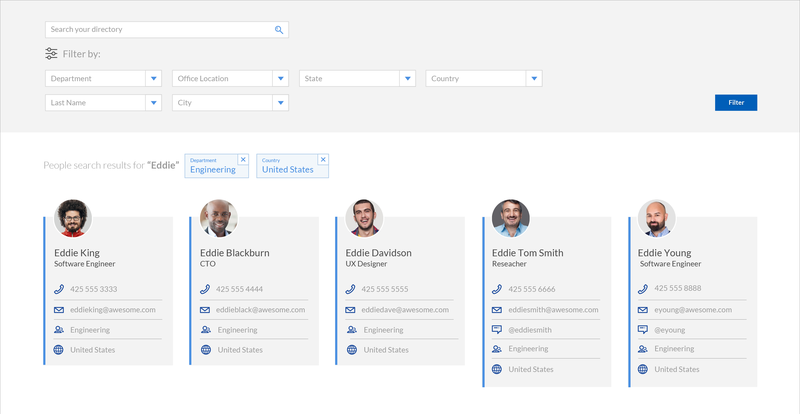 “Many organizations are frustrated by the lack of customization when it comes to the out-of-the-box people search experiences and current employee directory offerings. On top of this it's a real challenge for organizations to bring employee information from disparate systems (including their HRIS) into one easy to search experience. Our Live Directory overcomes these challenges, allowing employees to find the right people and expertise quickly and easily, where they are already working". Hyperfish provides a revolutionary new approach to ensure profile information is always complete and up-to-date using Bots and AI. Hyperfish understands what's missing or invalid, and automatically starts a proactive conversation with end users to collect and validate their information in real time. Users can quickly and easily manage their information from wherever they work via a mobile or internet connected device. Hyperfish continually monitors your environment to ensure consistency, compliance and governance of critical profile information as your organization changes. Available with the Premium edition of Hyperfish, the Live Directory web part works in Office 365 as well as LiveTiles Design.